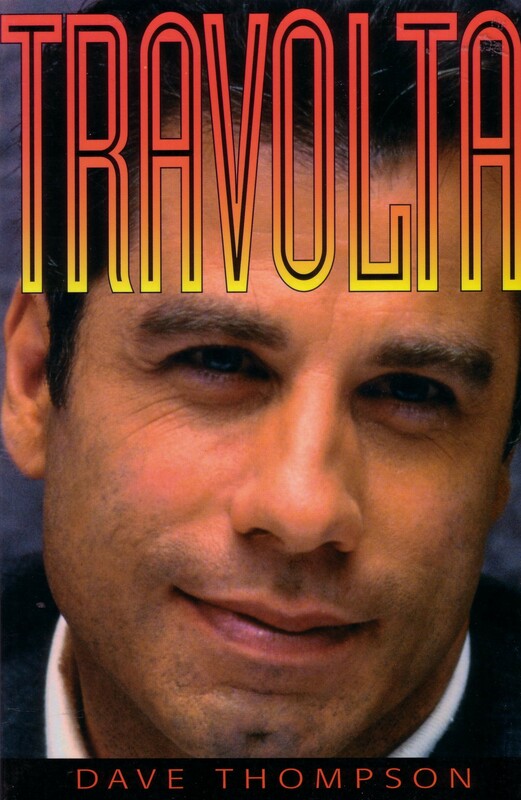 Travolta was published by Taylor Publishing in 1996. When English journalist Nik Cohn sat down to document the disco culture which he had been watching spread like spilt beer across Brooklyn’s dance club floors, he could never have dreamed what it would eventually turn into. Certainly Tribal Rites Of The New Saturday Night, the resultant essay, had nothing in common with the dream which had taken him into Robert Stigwood’s office six months before. According to Stigwood, Cohn had dropped by to talk to him about the possibility of writing a movie. “I said, ‘OK, if you have an idea, come and see me again and we’ll talk about it.’ Six months later I picked up New York magazine and saw this cover story and Nik’s name, so I immediately read it. And I thought ‘this is a wonderful film subject. '” No sooner had he put down the article than he was raging on the phone to Cohn. “You’re crazy! You come to me about writing a story for a picture. This is it!” Then he called Cohn’s agent to acquiring the film rights to the story. Within 24 hours, the deal was done. Tribal Rights Of The New Saturday Night, the essay from which Saturday Night Fever would eventually emerge, was a strong theme for a film, although it really did need a mind like Stigwood’s, forever alert to the incidentals which other onlookers might easily overlook, to spot that. Cohn’s own style of writing is journalism at its best: fast, but never rushed; easy but never lazy; informative, but never schoolmasterly – at his best, the rock’n’roll history Pop From The Beginning or the New York City travelers’ guide Heart Of The City, Cohn brings an almost fictional feel to the facts at hand, transforming the driest tidbit into fascinating anecdote, creating images which linger long after the page is turned. So it was with Tribal Rights Of The Saturday Night. Cohn is the observer, but it is the reader who is in the room, watching the blue collar Brooklynites hop and hustle across the floor, living out a fantasy world of their own creation, which is nevertheless as real as the paychecks which they collected that week – and which they’ll probably blow that night. Cohn wrote a preliminary script based around this original article, laying the foundations of the world into which screenwriter Norman Wexler would introduce Tony Manero, an Italian American who whiles away his days in the paint store where he works, and his nights in a bedroom decorated with posters for Rocky, Al Pacino and Farrah Fawcett–Majors. He runs with a gang, he fights with his parents, and exactly like the lost souls who populated Cohn’s essay, he lives for just one thing, the disco every Saturday night. In terms of realism, he is a walking, talking cliche, but that’s only one of the tricks which Saturday Night Fever has up its white polyester sleeve. Tony’s a cliche, and even his dancing partner knows it. The script for Saturday Night Fever was still being written when John signed up for the role. He took the job on the strength of Cohn’s essay alone, and he admits that when something approaching a finished script finally reached him, he did wonder what he had got himself into. John smiled at the recollection. “She went on like that for a long time. ‘He’s miles from what you’ve played, and what isn’t in the script, you’re going to put there. '” And when John brought up the fact that Manero was the king of disco, “and I’m not that good a dancer,” she simply snapped back, “baby, you’re going to learn.” The next day, John began taking lessons with the disco dance troupe Dancing Machine.